Last March, we gave you an early look at how the PlayStation 4—code-named Orbis—was shaping up. Nearly a year later, we're about to bring you a clearer, more timely update, including new technical specs and information on an upgrade to Sony's traditional controller design. The information you're about to read comes from official Orbis documentation, a hive of more than 90 PDFs about the forthcoming console. The details of the files were shared with Kotaku by an individual known as SuperDaE, the same person who last year attempted to sell a pair of next-gen Xbox development kits on eBay. What follows won't tell you when the PS4/Orbis is coming out or even what it's destined to be called. 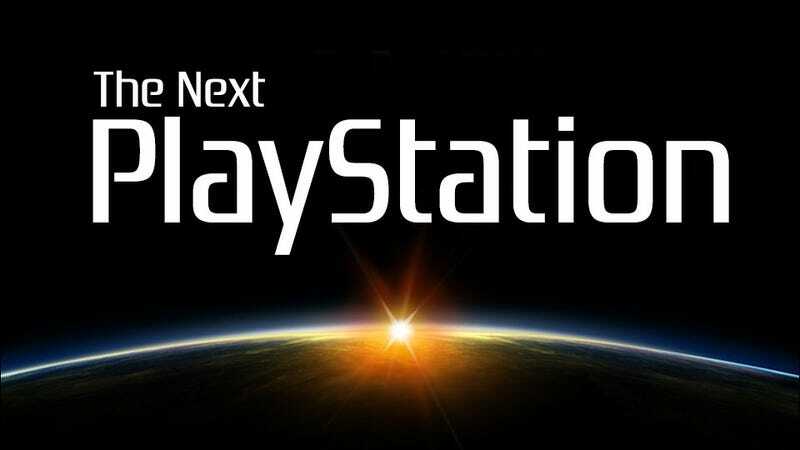 Our best sources are mixed on whether the new Sony console will be out late this year, to match the expected launch of the next-generation Xbox, or whether Sony will wait until 2014. What you will learn about below are some of the guts of the console (as they stand for now, at least) and how it works. Some of those details were familiar, matching things we'd heard before; others were new and refreshingly specific. That being the case, here's what we know is inside PS4 development kits—model # DVKT-KS000K—as of January 2013. As you'll see, some things have changed since earlier kits became available in March 2012. If you think the HDD is small, remember, these are the specs for a machine that developers are using to make games on, not the console you'll own and be storing media on. And don't worry about having two ethernet ports; as this is a dev kit, one is there for local sharing/testing purposes. Interestingly, while some of these specs (such as the 8x core CPU) match with those reported by Digital Foundry only a few days ago, others like the RAM (DF reported 4GB of GDDR5, while we've heard 8GB) differ. We've learned there's a headphone jack on the front of the console, but it's unclear whether that's just for dev kits or is an intended feature of the final retail console. Ever since the release of the original PlayStation, Sony has maintained roughly the same basic controller design. This trend may be continuing with the PS4, because we've learned that developers are working with—and dev kits support—both the Sixaxis and DualShock 3 controller. This suggests that, for the most part, the design and capabilities of the PS4's controller will be similar to those on the PS3. The documentation also shows a Move controller, suggesting Sony's Wii-style motion wand will work with the new console. There is a new controller in development for the PS4, though, known internally as the Orbis Development Tool, and while it keeps many of the same features as the current pads—like the four iconic PlayStation face buttons, two thumbsticks and shoulder triggers—there's one key addition. Can link PSN accounts to controllers, allowing for multiple logins. British site CVG speculated last week that, because they'd heard the PS4's controller was "trying to emulate the same user interface philosophies as the PS Vita", that meant it would feature a touch screen. Instead, the Orbis' controller features a capacitive touch pad, like you find on the back of a Vita (presumably it's also on the back of the PS4's controller), that can recognise two-point multi-touch. The entire pad can also be "clicked" for an additional input button. The PS4's controller will again be capable of motion-sensing, like its PS3 predecessors, only now with improved technology like tilt correction. It will also feature vibration, which Sony has thankfully learned is a next-gen feature you need to launch with. It'll also have an RGB LED light in it. While there have been reports of the PS4 controller featuring "biometric" technology, there was no mention of it in the information we were provided. Sony is trying to change the way you think about user accounts with the PS4. As it stands now, and this applies to all current consoles the PS3 (and the Wii U), when you log in, you log in as a single user. With Orbis, Sony is moving the place of "ownership" away from the console, with something it calls "multi-user simultaneous logins." Which means that the PS4 will let more than one person be logged into the same system at the same time. It achieves this by linking control pads to user accounts; as each new controller syncs with the system, that player's account can be logged in as well. Accounts won't be "locked" to a controller; you'll simply be prompted to sign in to an account every time an extra pad is connected to the console. One application we learned about for this feature would be that, were four players in a co-op battle able to defeat a boss, then all four would receive trophies. We only learned of this feature in relation to local accounts stored on the console itself. It's unclear whether you'd also be able to do this via the PlayStation Network if you were playing online. That's it for now. Remember, none of this information is confirmed, and even the information that is locked down in January 2013 may change before the console's eventual release, which is likely not for at least another nine months, at minimum. This is just what we've been told Sony is working on and planning for as of today. That being the case, how do you think it's shaping up?